On January 12, 2015, the Eleventh Circuit affirmed a decision of the Southern District Court of Florida which had granted summary judgment to Washington Shoe, finding that Olem Shoe had infringed its copyright in several designs adorning rain boots, albeit not willfully. The case is Olem Shoe Corp. v. Washington Shoe Corp, No. 13-14728. 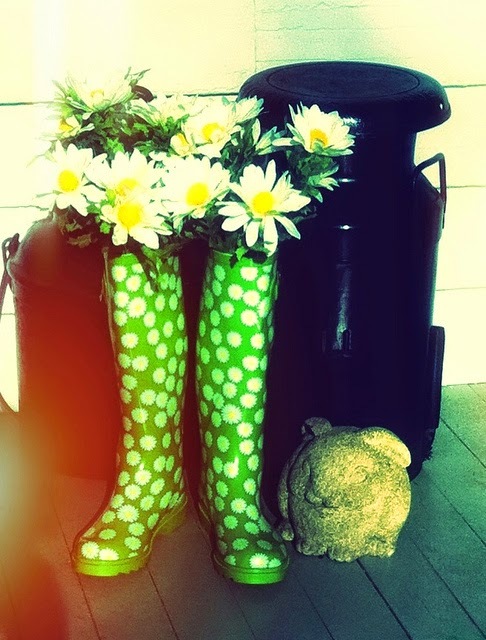 Washington Shoes designs and sells rain boots. In the fall of 2009, it sent a cease-and-desist letter to Olem Shoe Corporation, a shoe wholesale company, claiming that one of Olem’s rain boot models infringed Washington Shoe’s copyright in its “Ditsy Dots” design, a particular polka dot pattern. Olem filed suit to have the copyright declared invalid. Washington Shoe counterclaimed, and sent another cease-and-desist letter in early 2010, claiming copyright infringement in its “Zebra Supreme” design. Both of the allegedly infringing Olem models had been sourced in China. Pictures of all these models can be found on p.31 of the case. Olem filed a motion to dismiss Washington Shoe’s counterclaim, asserting that Washington Shoe’s copyrights protected only the two-dimensional drawings filed with the Copyright Office, not the boots themselves. But the district court found in April 2010 that, while the utilitarian functions of boots could not be protected by copyright, the designs printed on their surface could be protected. Washington Shoe then filed a motion for summary judgment. The district court granted it with respect to the copyright claim, but denied it with respect that the infringement was “willful.” Washington Shoe appealed to the Eleventh Circuit, Olem cross appealed, and the court affirmed. The plaintiff in a copyright infringement suit must prove that he owns a valid copyright, meaning that the work is original and that plaintiff has obtained a registration certificate. The plaintiff must also prove that the defendant has copied elements of his work which are original. Olem argued in front of the district court that the registered Ditsy Dots design was not original enough to be protected by copyright, as it was too generic to be sufficiently original. However, the district court found that the polka dots design was sufficiently original to be protected by copyright, relying on PrinceGroup, Inc. v. MTS Products, a 1997 Southern District of New York case, where the court had found that a particular polka-dots fabric pattern met the low threshold of creativity to be protected by copyright. Also, the district court was mindful to note that “only… the conceptually severable patterned designs on the face of the boots… not any utilitarian functions of the boots themselves” are protected by copyright. Indeed, U.S. Copyright law does not protect useful articles. However, §101 of the Copyright Act provides that “the design of a useful article… shall be considered a pictorial, graphic, or sculptural work only if, and only to the extent that, such design incorporates pictorial, graphic, or sculptural features that can be identified separately from, and are capable of existing independently of, the utilitarian aspects of the article.” The District Court found that Olem Shoe had copied constituent elements of the designs which were original. As Washington Shoe could not prove copying, it had to establish access and substantial similarity with its designs. The district court found that Olem had “access” to the registered designs, as the boots bearing the protected designs were sold nationwide at Target, which has numerous stores in Florida, were Olem is located. The boots were also sold at Target.com. Also, Washington Shoe had presented these boots in tradeshows which had been attended by Olem. For all of these reasons, Olem was found to have had access to the protected designs. The district court also found the designs on Plaintiff and Defendant’s boots to be substantially similar, after having compared them from four different angles, and concluded that Olem had infringed Washington Shoe’s copyright. The Eleventh Circuit noted that two works essentially or virtually identical are strikingly similar, and that the copying elements of an infringement claim was satisfied in this case. The Eleventh Circuit found the polka dots and the zebra stripes designs virtually identical and thus strikingly similar, and affirmed the district court’s finding that Olem had copied Washington Shoe’s design. Olem had unsuccessfully argued in front of the district court that it had independently created its own design, submitting testimonies that the company had received these designs from a Chinese supplier, and then used them on its boots without knowing that they were protected by copyright. The Eleventh Circuit noted that “[g]enerally, establishing a reckless state of mind in a copyright case requires a showing that the infringer possessed particular knowledge from which willfulness could be inferred, such as evidence that the infringer was given samples of the copyrighted work prior to producing the infringing work” (p. 13). The Eleventh Circuit was not convinced by Washington Shoe’s argument that, merely because the designs were strikingly similar, Olem recklessly disregarded the likelihood that it infringed Washington Shoe’s copyright, reasoning that “striking similarity… says little about the state of mind of the copier” (p. 12). The Eleventh Circuit was not convinced either by Washington Shoe’s argument that the cease-and-desist letters sent to Olem prove that it knew that it was infringing protected copyright. Indeed, Washington Shoe had sent Olem two cease-and-desist letters, but Olem could still “reasonably and in good faith have believed that there was no infringement,” according to the district court, as the letters did not include identifying information for the registration or a sample of the allegedly infringing work. Therefore, these letters were not probative evidence that Olem knew that it infringed Washington Shoe’s copyright, and the copyright infringement was thus not willful. The Eleventh Circuit agreed with the district court on this point, noting that the letters, as sent, “provided nothing from which Olem could have determined that the claim was legitimate” (p.11). This should give pause to copyright practitioners when writing their next cease-and-desist letters. These documents should include enough information as to effectively put the receiver on notice that he does indeed infringe their client’s copyright. 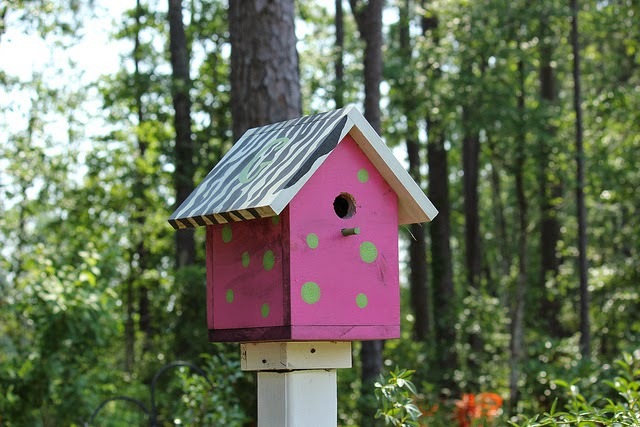 Image of the birdhouse is courtesy of Flickr user JB Kilpatrick under a CC BY 2.0 license. Image of the boots is courtesy of Flickr user Ali Millteer under a CC BY-ND 2.0 license.